My educational background is in magazine journalism and publishing. I've written hundreds of articles, columns and features on local businesses and nonprofits over the last 20 years and know how to pull the engaging angle out of any story. If you are looking for a freelance writer who can write professional, dynamic content for in-house communications, consider what I can do for you. Appropriate for open-ended projects such as annual reports and some newsletters. -Approx. 350-500 words per article. 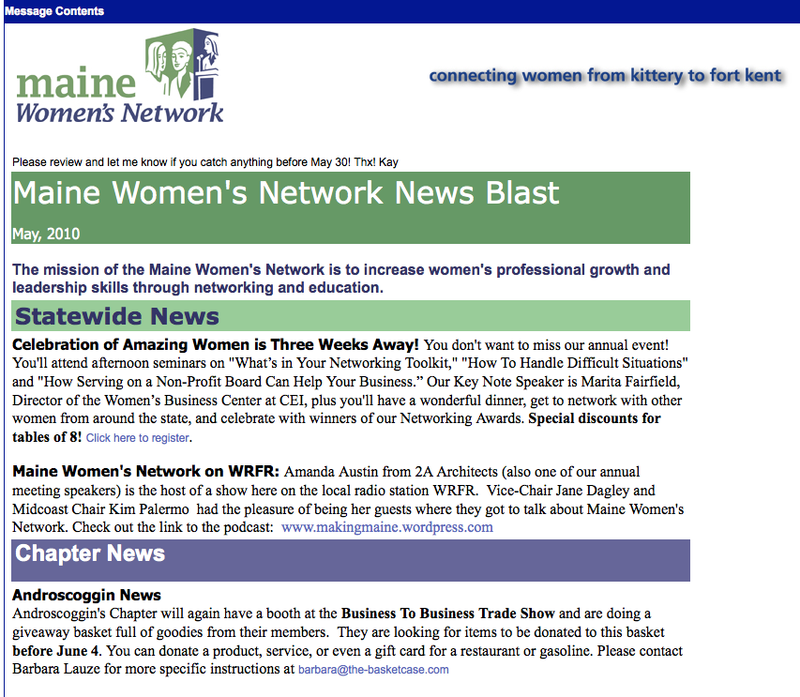 I can write for traditional hard copy newsletters or work in Constant Contact, MailChimp and other newsletter generators to craft quick, short informational blasts for your company.